Agilent Technologies said it will extend its two-year-old collaboration with the Centre for Human Genetics of the University of Leuven and the University Hospital of Leuven in Belgium. The partners have inked a two-year extension that will focus on detecting genetic abnormalities in cell-free DNA and embryo biopsies, Agilent said yesterday. The value of the extended collaboration was not disclosed. Agilent said research teams are investigating comprehensive solutions for preimplantation genetic testing (PGT) that could enable labs to use a single sequencing workflow to perform preimplantation genetic diagnoses for single gene disorders and translocation carriers, as well as preimplantation genetic screening (PGS) for chromosomal abnormalities on the same embryo biopsy. The partners estimated that a commercial solution for PGT analysis could be ready as early as this year, followed by a more extensive evaluation of the PGT solution’s clinical utility in distinguishing between mitotic and meiotic aneuploidies and detect triploidy and uniparental isodisomy in embryo biopsies. These abnormalities cannot be accurately detected by currently-available commercial PGS solutions, according to Agilent. Agilent said the goal of the research was to reduce the number of IVF cycles, and time, that are needed to achieve a healthy live birth. Such reductions in cost and time, the company reasons, could help persuade authorities to approve reimbursement for the tests. Efforts to develop PGT are also supported by a grant from the Flemish government. “This is a unique and excellent example of a government-industry-academia partnership designed to translate innovative research into commercial solutions that address unmet needs in the human reproductive genetics space,” Herman Verrelst, Agilent vice president and general manager of the company’s Genomics Division, said in a statement. The earlier collaboration preceded the commercial launch of Agilent’s OneSight software platform, designed to help researchers visualize and explore chromosomal and sub-chromosomal aneuploidies in cell-free DNA sequencing data. The company cited growing interest in cell-free DNA analysis since then, both in performing non-invasive prenatal testing, as well as in liquid biopsies from cancer patients. 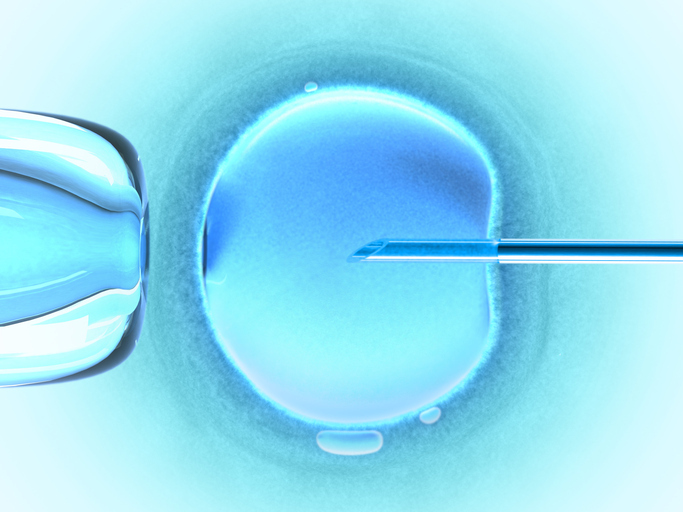 Agilent also cited recent evidence that cfDNA can be found in an embryo’s blastocoel fluid and culture medium, and can be used for preimplantation genetic screening. Joris Vermeesch, Ph.D., chair of the Centre for Human Genetics, will coordinate the collaboration. He is also professor of molecular cytogenetics and genome research at the University, and is coordinating the genomic core at the University Hospital.